How racist is Boston? The Daily Show sent a correspondent here to find out, and he stopped by Fenway Park and the Boston Globe to get to the bottom of it. There has, of course, been plenty of reflection in Boston over the last couple years about just how racist the city is, and what we can do about it—a question that surfaced infamously when comedian and Weekend Update host Michael Che called Boston “the most racist city I’ve ever been to,” a statement that fueled a widely read Spotlight series probing the question at length. During a stop at the Globe‘s headquarters, reporter Akilah Johnson walks Wood, Jr. through the Spotlight team’s findings, including the harrowing statistic that while the median net worth for white families in Boston is around $247,500, the average for black families is $8. “Racism is more than just attitude,” she tells him. 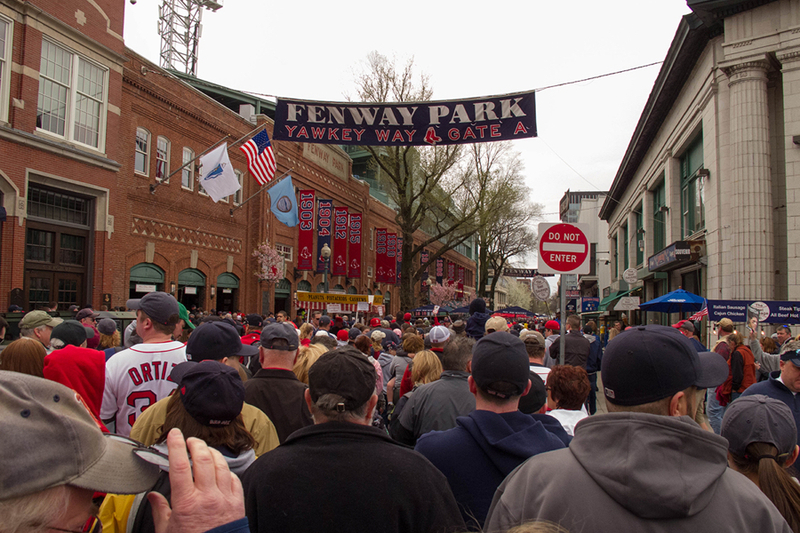 But The Daily Show finds that the swarms of white fans outside Fenway Park aren’t convinced. “I don’t see that racism myself, honestly,” says one of them. “I’ve just never encountered it,” says another. One woman says she believes the racism label could be chalked up to jealousy over Boston’s sports prowess. “They love to hate us,” she says. To wrap things up, Wood, Jr. makes his way down to Fenway with a new mascot for spreading the word about inequality in Boston: Wokey the Walrus.